Mission to Readopens a new window needs your help! 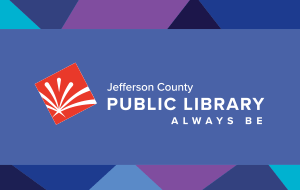 We are looking for teen volunteers to help administer Summer Reading 2019. Have fun earning those school or community service hours while helping your community and gaining great job experience. Volunteers assist with registration, prize giveaways, and a variety of special programming. Teens in grade 7-12 are eligible to volunteer. Training provided. Apply hereopens a new window to be a Teen Summer Reading Volunteer at your Jeffco Library. Facilitate the monthly Free Legal Self-Help Clinics. This involves setting up the computer for video conferencing and coordinating the flow of patrons into the Meeting Room for their 15-minute private sessions. Preference is for a volunteer who is computer savvy. Help set up Babytime (Storytime) room and shelve holds or returned library materials. Assist with shelving returned library materials. Assist staff in facilitating “Terrific Tuesdays,” weekly after-school programs for children and tweens. Activities include games, movies, LEGO® challenges, STEAM projects and more. Share your knowledge and experience of other cultures and help kids explore the customs of other countries. We are looking for four “cultural representatives” as well as one or two general volunteers to help set up, clean up, and refill supplies (food/craft) throughout the event. Deliver library materials to folks who cannot travel to the library on their own. One facility route currently available in Arvada. Questions? Contact the Volunteer Program Coordinator at volunteers@jeffcolibrary.org or 303-275-2212.